Showing what @media features your device can and can’t see. 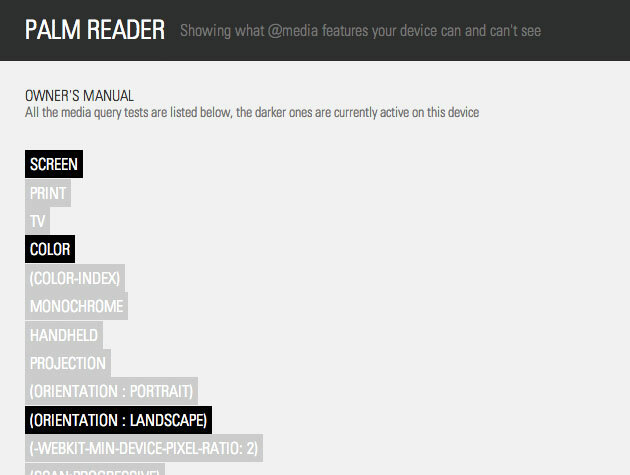 Various media query tests are listed on this website, the darker ones are currently active on your testing device. 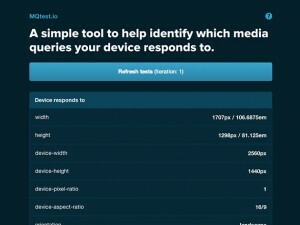 A simple tool to help identify which media queries your device responds to.